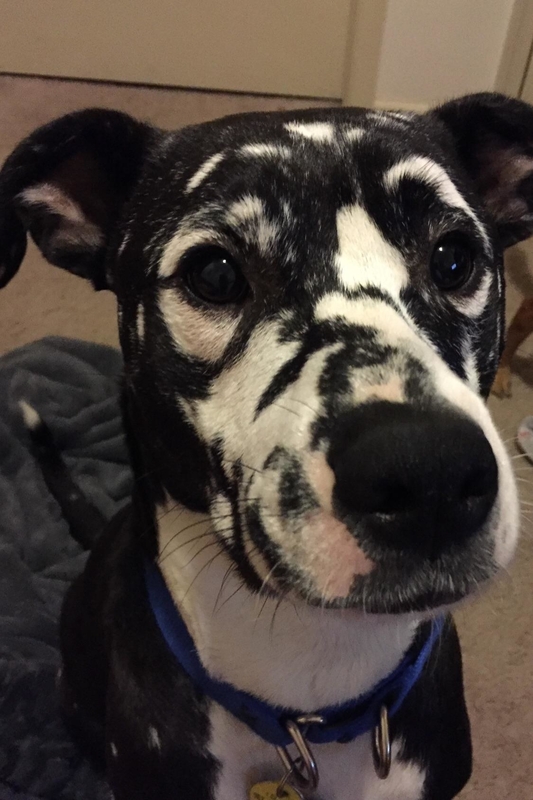 They're not spots, they're sparkles! 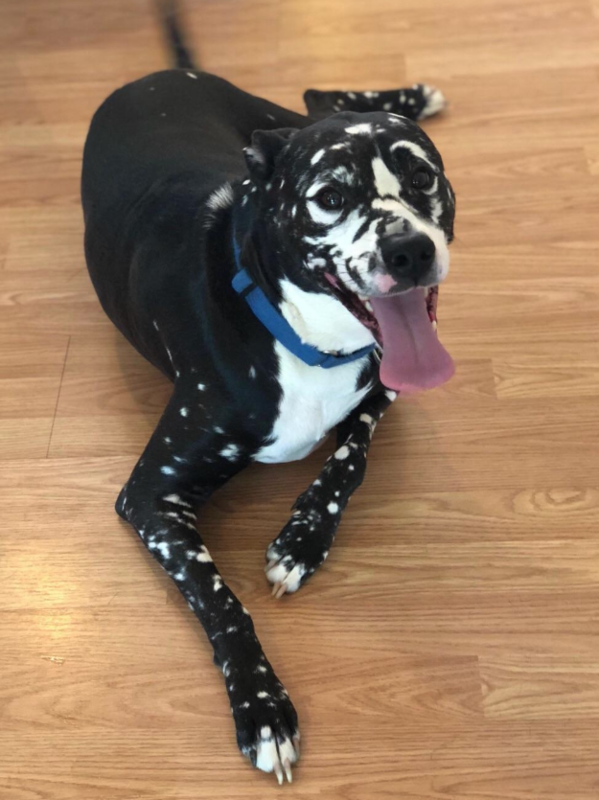 Vitiligo is the loss of pigmentation in patches of skin, but did you know it can also occur in dogs? Check out these pups who are embracing their beautiful fur! 1. This rottie who has the most contagious smile. 2. This stunning dachshund who will make you do a double-take. 3. This labrador retriever who has groovy patches and a heart of gold. 4. This big-eared cutie who is unique all over. 5. This beautiful boy who has a tail that wags 100 miles per hour. 6. This miniature bull terrier who has sprinkles of white fur. 7. And this cutie patootie who is totally sugar coated. 8. This photogenic pup who is unbelievably fluffy. 9. This festive fella who looks like he's had a roll in the snow. 10. This handsome pittie who takes his job as sheriff very seriously. 11. This brown-eyed girl who is perfect the way she is. 12. This soulful rottie who you can't help but fall in love with. 13. And finally, this gorgeous girl who deserves all the treats in the world!